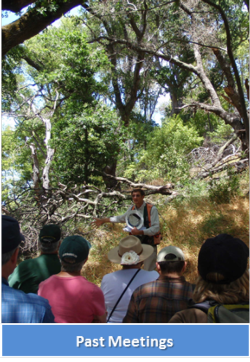 UC Cooperative Extension-Humboldt/Del Norte (UCCE) provides general information about sudden oak death (SOD) caused by the pathogen Phytophthora ramorum. We also monitor for symptoms of SOD in Mendocino, Humboldt, and Del Norte counties and frequently near the western edge of Trinity County. 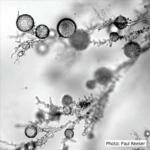 UCCE, together with their partners, is currently working on slowing the spread of the pathogen in forested settings. The following links and downloads present some of the information we've found most relevant to SOD management and monitoring in the North Coast. What is sudden oak death or SOD? Sudden oak death (SOD) is the common name of a lethal, canker-causing pathogen of certain oaks and tanoak trees. It is caused by a microscopic fungus-like organism, Phytophthora ramorum, that also causes Ramorum leaf blight, a non-lethal leaf blight that can cause stem cankers, leaf spotting, and twig dieback in a large number of native and ornamental trees, shrubs, and herbaceous plants in the Pacific Northwest and Europe. 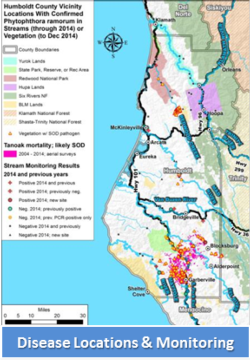 In July 2002, the pathogen was found in Redway, the first site in Humboldt County, and in 2013 the pathogen was confirmed in Trinity County and in 2016 it was confirmed in San Luis Obispo County, bringing the total number of quarantined counties in California to 16. As of January 2017, the pathogen has not been found in Del Norte County. The movement of host materials (leaves, firewood, logs, etc.) within and out of these counties is regulated by State and Federal quarantines to prevent and/or slow further spread of this disease. 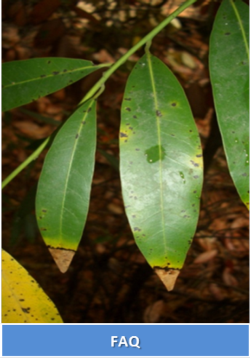 Extensive information about the disease, including photographs of susceptible hosts, recent publications, and what to do if you suspect that a host tree or shrub may be infected, can be found at www.suddenoakdeath.org. For more information on quarantines contact the Humboldt/Del Norte/Trinity County Agriculture Commissioner at (707) 441-5260. 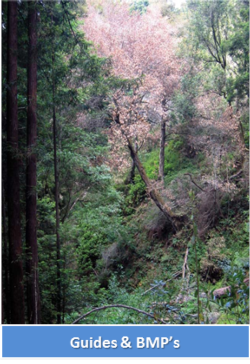 For more general information on sudden oak death, please contact Dan Stark, North Coast Sudden Oak Death Program Outreach Coordinator at stark@ucanr.edu or Yana Valachovic, County Director and Forest Advisor at yvala@ucanr.edu, or by calling our office at (707) 445-7351.